The Makolei Bridge in Nabouwalu has been washed out. This was confirmed in the latest Fiji Roads Authority situation report. FRA received the report this morning at 10am. The Authority has advised that the Nabouwalu Road will be closed until the crossing is repaired. A temporary access will be completed over the weekend by FRA contractors, the statement said. All roads in the Central division remain open with many roads slippery and some trees fallen across roads. Fallen trees are being cleared upon by the Authority after they are advised. In the West, all roads are open. 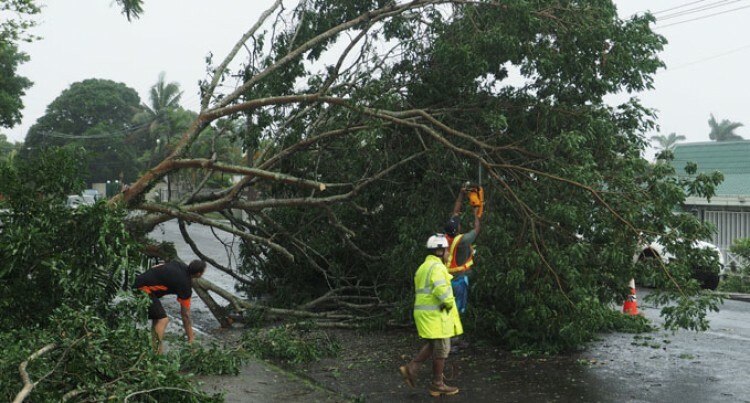 Motorists advised to take caution of flying debris and debris scattered on roads in the Central Division.FHH carrying out clearing work.